From art, theatre and live music to fireworks, fine food and films, the lineup of events & festivals in Düsseldorf this year is amazing. We’ve put together a list of highlights so you don’t miss out on them. 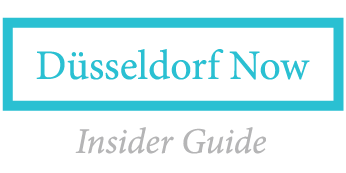 So grab your calendar and get ready to discover the Top Events & Festivals in Düsseldorf for 2019. Enjoy! Eyes on Japan is a multi-day celebration of Japanese films that takes place at Film Museum Düsseldorf, which is also well worth a visit. A massive indoor boating & watersports show featuring excellent activities such as a 90 meter “river” for indoor paddling, The Wave (see video above), a sailing area and surfing simulators. Beyond that, you’ll find numerous displays covering everything from ocean conservation to super yachts. Duesseldorf Photo Weekend showcases the work of a wide selection of photographers at museums and galleries throughout the city. The Fischmarkt (fish market) is situated directly alongside the Rhine river. But beyond the great location, the main attraction here is the extensive collection of about 90 stands which offer a wide range of food, drinks and unique products. When: 17 Mar. | 07 Apr. | 02 Jun. | 30 Jun. | 11 Aug. | 15 Sep. | 06 Oct. | 03 Nov.
Love good wine? You’re in luck – at the Wine & Taste Festival you’ll have a chance to sample about 200 wines in a relaxed atmosphere and wines are available for purchase directly from the wineries. A DJ and food trucks will be on hand too. Check out numerous live performances, music, food and films at about 40 museums and galleries across the city as they celebrate into the night. Shuttle service will be provided and is included in the ticket price. Go on an outdoor culinary expedition as you sample a wide selection tasty treats. You’ll find fine food trucks, professional chefs and amateur cooks serving up delicious dishes from around the world. This popular annual event always features a diverse program. Last year’s event included everything from martial arts demonstrations and Japanese music to anime contests. The grand finale is a spectacular fireworks show over the Rhine. A full guide to the event is available here. Tip: In celebration of Japan Tag, Ekō-Haus of Japanese Culture is also offering an open house at their location in Oberkassel. Celebrate great literature at this citywide event. Browse thousands of books at the book market on Königsallee, attend a reading and much more. For the 19th time, the Düsseldorf Frankreichfest (French Festival) takes place in the Old Town and on the Rhine. Live music, delicious French food and a colorful, French-themed program await. Très bien! The biggest carnival on the Rhine returns to Düsseldorf on Friday, 12 July. We can smell the cotton candy already. Schloss Benrath (castle) will be illuminated for this annual open-air event which features an impressive fireworks display accompanied by live classical music performed by the Düsseldorf Symphony orchestra. Three stages where you can listen to music that’s anything but mainstream, from young musicians based in NRW to newcomers from all over the world. Plus Pop Up galleries and presentations of the 20 winners of Open Squares. The wine festival for connoisseurs featuring a full selection of wines, sparkling wines and specialties direct from Rheinland-Pfalz, plus live music and special wine-themed events. Watch hit movies under the stars on a massive screen overlooking the Rhine. This is one of those events that you have to do at least once. Definitely put this one on your list. Experience over 200 food stands, wineries, food trucks, bars and producers from all over the world as they converge on Königsallee for this excellent three day event. A great festival that’s always free and outdoors. The lineup usually includes several cool bands and a big flea market. The “düsseldorf festival!” is a unique series of events that spans several weeks. It features everything from innovative music and dance to theatre. Don’t miss it. Experience a colorful program including authentic Chinese music, art, cuisine and much more. Admission is free. An open-air street festival in the beautiful historic district of Düsseldorf-Carlstadt. Organized under the motto “Art, culture & lifestyle”. Get a taste of Oktoberfest in Düsseldorf. Put on your Dirndl or Lederhosen (you know you want to!) and celebrate the occasion Bavarian style with big beers, good music, and a perfect view of the Rhine. Prost! Düsseldorf’s Sushi Festival returns for 2019. Try traditional sushi, or a unique combination (last year featured everything from sushi donuts and burgers to lollipops). The pop music festival for special artists in special places. This is one of the most popular music festivals in Düsseldorf. Discover modern and contemporary art (1945 to present day) in the bright halls of Areal Böhler. Featuring numerous established and new galleries from around the world. Discover trendy new foods, take part in a cooking workshop and sample some tasty cuisine at the largest food festival of it’s kind in Germany. New Heritage – Festival für Zeitloses (“Festival for Timelessness”) stands for quality, craftsmanship and timeless design. Discover unique products from about 100 exhibitors at the market, take part in a workshop, have a drink and visit the food trucks. A unique short film festival featuring the work of young, creative and up-and-coming filmmakers from around the world. Gaming fans, this one’s for you. Next Level – Festival for Games is your chance to experience the future of digital gaming firsthand.